In PHPFox Neutron you can profit from your community, by introducing different subscription plans for your users. This way, they can pay a fee to get certain functionality or status on your community. To create a new subscription package, you need to access your website’s admin dashboard, navigate to the Subscription Packages section located in the Settings menu on your main panel and click on the Create a new package button. Title - Enter the title of the new subscription package. Image: - Upload an image for the subscription package. User Group on Success - Once a user successfully purchased the package they will be moved to this user group. User Group on Failure - Once a user cancels or fails to pay their subscription they will be moved to this user group. Add to registration - Add the new subscription package to the registration so users can select it. 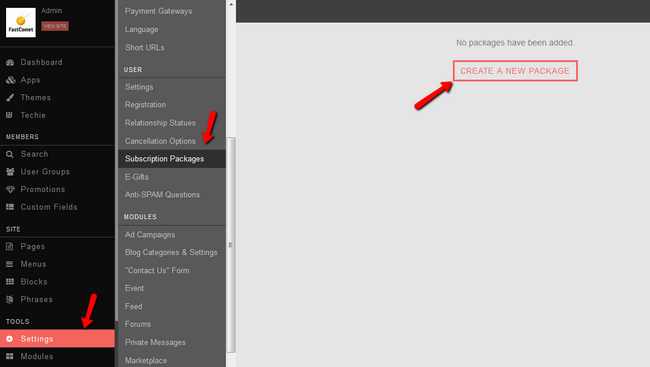 Is Active - Set the new subscription package as active/inactive. Price: The price of the package in the different currencies on your website. Recurring Price - The recurring price of the package. 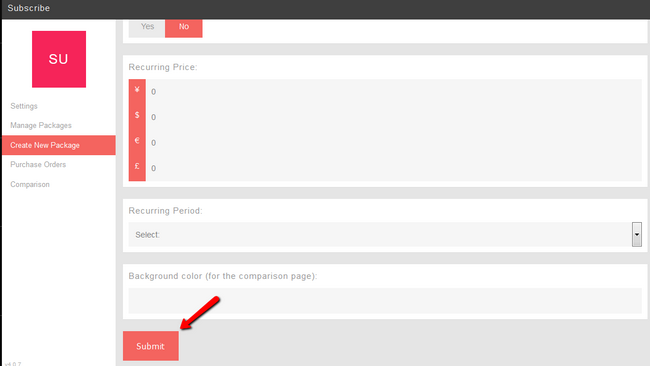 Click the Submit button once you are ready to finalize the creation of the subscription package. To edit an existing subscription package you will need to click on the Manage Packages option, then click on the drop-down arrow of the package you wish to edit and select the Edit package option. Set the changes that you wish to make on the subscription package and hit the Submit button at the end of the page to save them. To delete a subscription package you will need to click on the Manage Packages option, then click on the drop-down arrow of the package you wish to delete and select the Delete package option. You will be prompted to confirm that you want to delete the package. Click ok and the subscription package will be deleted.